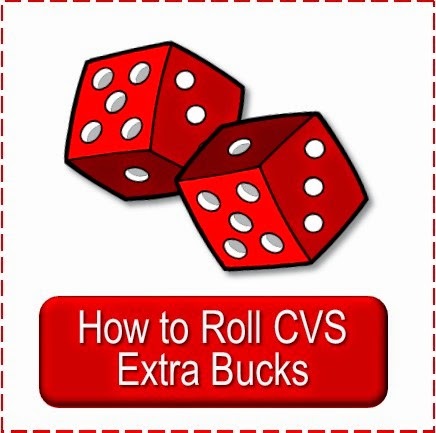 new to CVSing I recommend starting as a Casual CVSer to become familiar with the basics of CVS deals shopping and move on from there as you feel comfortable. Committed CVSer has decided to spend a little more time and put in more effort than Continual CVSer. 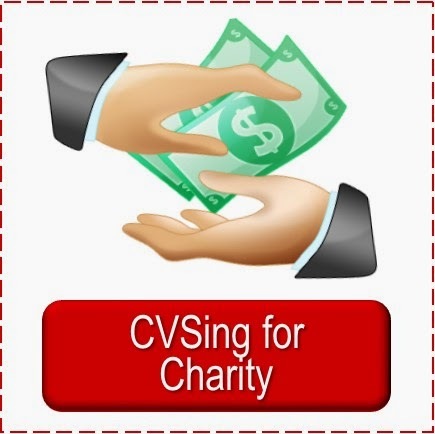 Committed CVSer will take three more steps: saving the Sunday coupon inserts, printing coupons online and looking online for CVS deals. If you are ready to join Committed CVSer you may want to abandon your accordion file and move onto a binder. A binder will hold more coupons and offer more organizational possibilities. I fall into the Committed CVSer category and share my binder organization below. Find the ad online, pick up one in the store or in the Sunday paper and scan it two or three times. You’ll be surprised how often you will miss something the first time. Circle any deals you see you are interested in as you go thru the ad if you are using a paper ad. Make a list of what you want with the page number noted and file. Or just carry the ad and page thru it as you shop—make it as simple as you’d like. I sometimes note the page numbers of circled items on the front page of the ad. This is especially helpful for asking for a rain check on an out-of-stock item. Notice any notes that indicate “coupon in today’s paper.” If you got the paper and you see this sign by something you have circled look for the coupon in the inserts that came in your paper. Clip the coupons and file them. If your store has a self-scanner, scan your card before you shop to see if you receive any coupons good on your purchases for that day. You may have to scan it more than once. You can either scan it until it says “no more coupons” or until two coupons print out for CVS products—these always print last. File any that you do not use the day in which they print. When shopping you have two choices when it comes to the extra bucks earned. One: you can make numerous transactions buying the item that gives the least amount of extra bucks first. Use the extra bucks earned from transaction one on the items in transaction two and repeat this until all the items with extra bucks you want have been purchased. This is how you will spend the least out of pocket cash. Then you can either save all those extra bucks for next week’s extra buck deals, or you can spend some or all of them on needed items you see on sale. TWO: Check out only once and save all the extra bucks earned until next week’s sales. You will save a little less but will also spend less time. This is where the differences come in. As a Committed CVSer you will begin to save all of your Sunday weekly inserts of coupons. Mark on the front with a marker the date they were in the paper and file them with the newest on top in a box or in a file drawer with a month’s worth in each hanging folder. Ask friends, family & neighbors for the inserts they do not want. Often people will clip one or two coupons, if any, and throw the rest away. Having extra copies will give you the potential to get many more deals at CVS. Look thru the inserts each week and clip coupons for items you would like to find a deal on and any that you have become familiar with as usual CVS deals. You will begin to check for deals online. The first step is to look online and find the coupon match-ups for the current week. Sometimes coupons will make an item free or nearly free that you would not have seen on your own. If there are any printable coupons listed for items you have an interest in print them off. Coupons will also be listed by insert source (example: SS = SmartSource Insert) and will show the date it was in the paper (2/21/10). You will go to your coupon file and clip the coupons you want for that week’s deals. The second step to add is to look over the ad posted online for the next week. This will help you avoid purchasing an item this week that will be a better deal next week. You can also start to look for the coupons listed that are needed. A binder (1” to 1 ½” thick; a zipper is a plus—I use a regular binder I got free after Extra Bucks at CVS during a school supply sale). Pockets in the front and back cover are nice for slipping things into—like ads or coupons printed from CVS emails. I also slip my receipts into them until I get home. A zippered binder pouch to hold pen, calculator and notepad or scratch paper (for figuring or notes). Baseball card pages. These have 9 slots in them. I cut pieces of white paper to slip in each so I don’t see the items filed behind them. They can be purchased at Office Supply or Big Box stores. I also have a couple document covers cut about 1” above the center hole. I cut cardstock the same size and slipped a piece in each one. I use the front and back of these to slip coupons in I know I will use this week or that I pick up as I shop orones I had planned on using but didn’t. They are just handy to slip things into—like rain checks until I get home and file them properly. You can purchase sturdy, clear pockets at an office supply store for the same purpose---but I had the other on hand so that is what I used. This week—for coupons needed this week. Mom, Me—for Extra Care card, gift card, extra bucks and CVS coupons. I do my mom’s shopping for her so I have a page for her. 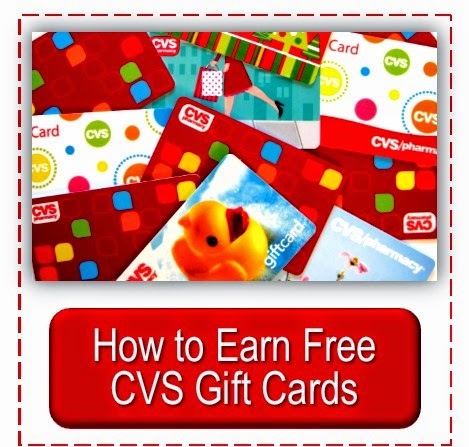 Free coupons—for actual coupons for free products (often received from a manufacturer after sending a compliment) and for coupons I know will make a product free at CVS. These help when I have a dollar off total order CVS coupon (like $5 off $30). I buy the products when I have these so I can get my total up to $30 without spending cash out of pocket. 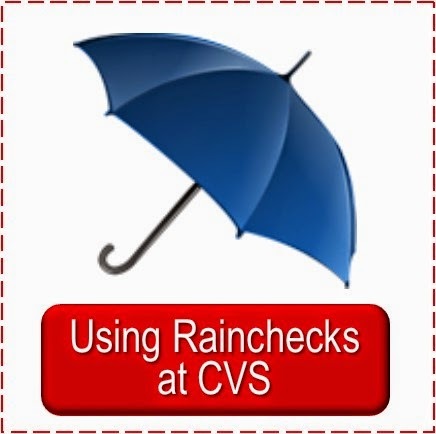 Rain Check pages include: w/extra bucks, food, non-food. 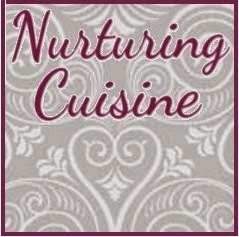 Coupon pages include: beauty, food, health. • You can custom make your binder to fit your shopping habits. And then file your coupons, extra bucks, rain checks, etc. to have easy access while planning and shopping. • While shopping you can slip your binder into the cart seat (IF you don’t have a little one) and have it open to this week’s coupons page. You can also have your shopping plan/list snapped into the binder facing opposite your coupons so you can see both easily. • If you are comfortable as a Committed CVSer, but know you still miss deals and you “gotta have it all” I believe you are ready to become a Crazy CVSer. 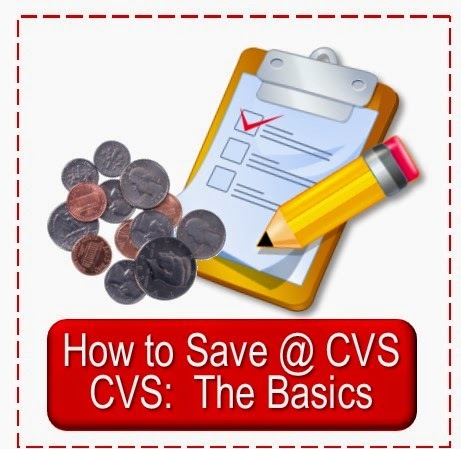 I originally wrote this series when I began Simply CVS and now I use a Coupon Wallet. I hope to get a post together to share my experience with it. I am very pleased with the construction and organization possibilities and it is easier for me to handle than the binder. I find it less time consuming, tho I do not get as many CVS clearance deals this way. Your CVS Shopper Personalities gave me a good laugh! :) I am quite sure I land in this #4 category. I might do some of the #5 things, but not all the time. I think I am quite happy with being in this category...being the Crazy CVS shopper might be too time consuming for me. I never have used a binder, just a little organizer. I have been thinking about starting to use two cards though, so I guess I would have to get a little more organized. Thanks for your blog! Glad you enjoyed the series. Time is one reason I started Simply CVS. To save shoppers time searching for the deals so they could save more. And this series is to show how you can save depending on the time you want to put into it--even a little time has good savings. Thanks for sharing your experience. LOL - are you spying on me and watching my every move? All of this could be describing ME! I am def in this category!!! P.s you have inspired me to do a $25 gift card challenge as well. Stephanie, how fun!! 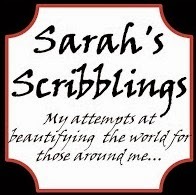 Would love to hear your final tallies for the $25 GC challenge! I use a mix of what you have talked about to organize. I don't have much time to cut coupons but like to have my primary ones with me when I shop (never know when you'll come across a deal & know you have the coupon.... at home) so, I started using an 8x10 accordian folder (the ones that have the fold over top) that way I don't cut coupon until I actual use them. I have a pouch inside for scissors, note pad, calculator, and pen. I have all my coupons, gift cards, rebates, etc listed in an excel sheet that I print and put in the front of the binder. (so I know without searching what coupons I have in my binder & where they are located). I've also started doing my shopping lists in an excel sheet so I save paper (I just send it to my phone and shop from there). I'm excited to re-add the baseball card holder feature because I like how you utilize yours. Sounds great, Nicole! Welcome to the world of CVSing!